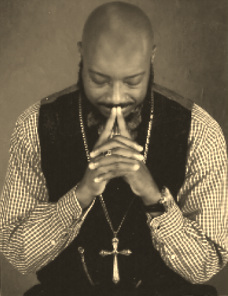 Bishop Dr. Paul N. Warner Jr.
Write the Vision. Make it Plain. God will do just what He said. Welcome to the official website for Visions Selah Church. Our prayer is that this site will be both informative and inspiring. Salvation has been provided and is available for people through Jesus Christ. Through His sacrifice on the Cross, we can die to our sinful nature and be born again to a new life of purity and power, peace and perfection. We further believe that Water Baptism is a symbol of the cleansing power of the Blood of Christ and a testimony to our faith in the Holy Spirit. consequent of the Baptism of the Holy Ghost with the manifestations of the fruit of the Spirit. We believe that we are not Baptized with the Holy Ghost in order to be saved, but that we are Baptized with the Holy Ghost because we are saved. When one receives a Baptismal 'Holy Ghost' experience, we believe one will speak with a tongue unknown to oneself according to Acts 2:4. The Holy Ghost is a gift bestowed upon the believer for the purpose of equipping and empowering the believer, making him a more effective witness for Christ. What does Visions Selah mean? especially in a supernatural appearance that conveys a revelation. spiritual traditions and could provide a lens into human nature and reality. Hebrew Bible that means GOD HAS SPOKEN. It is used 71 times in the book of Psalms and three times in the book of Habakkuk and is a difficult concept to translate. (It should not be confused with the Hebrew word sela‘), Selah can also be used to indicate that there is to be a musical interlude at that point in the Psalm. The Psalms were sung accompanied by musical instruments and there are references to this in many chapters of the Bible. Thirty-one of the thirty-nine Psalms with the caption "To the choir-master" include the word Selah. Selah notes a break in the song and as such is similar in purpose to that of Amen. We are looking for Men on the M.O.V.E. for Christ and Ladies who L.O.V.E. the Lord. Map your way to your blessing. 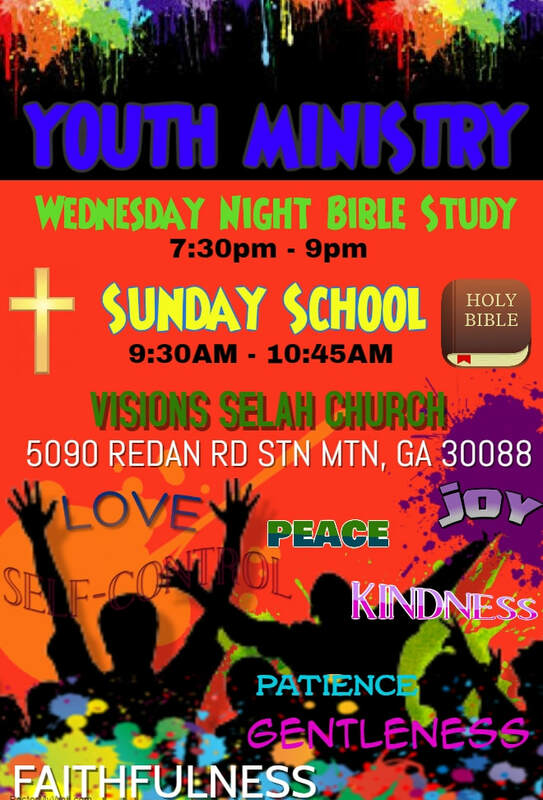 Visions Selah Church, 5090 Redan Road, Stone Mountain, Georgia 30088.